If you have a long commute each day, there's a chance that you use a lot more gas than you would like to. You might think that there is nothing that you can do about it. Even if you aren't able to move closer to your job, there are still a few ways that you can reduce gas consumption. If you're wondering how to save gas on your daily commute, consider these tips. You're sure to notice a difference in gas consumption if you do. If you often find yourself in stop-and-go traffic, you should consider leaving earlier. If you beat the rush, you'll be able to conserve fuel and spend less time on the road. Getting to work super-early might not be your idea of fun, but it can beat sitting in traffic for hours on end. Plus, you're sure to notice a difference in how far your gas goes each week. Have you ever thought about signing up for a gas card from one of the big gas station chains? One of these credit cards can help you earn points and save money on gas. Just make sure that you choose a gas station that is on your commuting route. Some employers offer reimbursement for things like gas for your commute. Ask someone in your company's human resources department if this is a company benefit. There's a chance that this benefit is available and that you aren't taking advantage of it. Talk to others within your office who have long commutes as well. You may be able to meet up with co-workers in a centralized location and ride together. Along with saving money on fuel, this is a great way to get to know your co-workers better. Plus, you won't have to worry about driving your stressful commuting route each day. 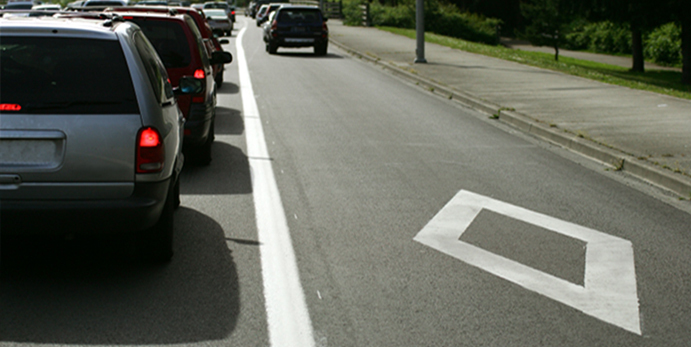 Make a point to handle your errands while you're on your commute if at all possible. For example, stop by the grocery store that's along your commute. This can lower fuel usage and can also help make your commute a little less mundane and boring. If your car isn't cared for, then it's not going to help you achieve your best gas mileage. Make sure that you keep good tires on your vehicle and that you keep them at the optimal tire pressure. Have your oil changed, your air filter changed and other maintenance done as required by your car. Doing so will help prevent wear and tear on your vehicle and can help you stay safe while you're on the road. Plus, you'll get your best gas mileage when your car is in well-maintained condition. It can be easy to get road rage or to take your eyes off of the road for a split second and have to slam on the brakes. Yet, you should remember the basic driving rules. Drive at a reasonable speed and don't hit your brakes too hard. Taking online driving classes can help you refresh your memory and sharpen your skills. These skills can help keep you safe on the road and prevent accidents. As you can see, there are ways that you can reduce the amount of fuel that you use on your daily commute. Follow these tips, and you're sure to conserve more fuel than you think.